If you want to enjoy a memorable vacation, you will not be disappointed if you book your travel on a cruise ship to Hawaii. Fortunately, the cruise vessel Pride of America offers this type of opportunity. The ship, which has been recently refurbished, makes seven-day Hawaiian roundtrip cruises to and from Honolulu each year. 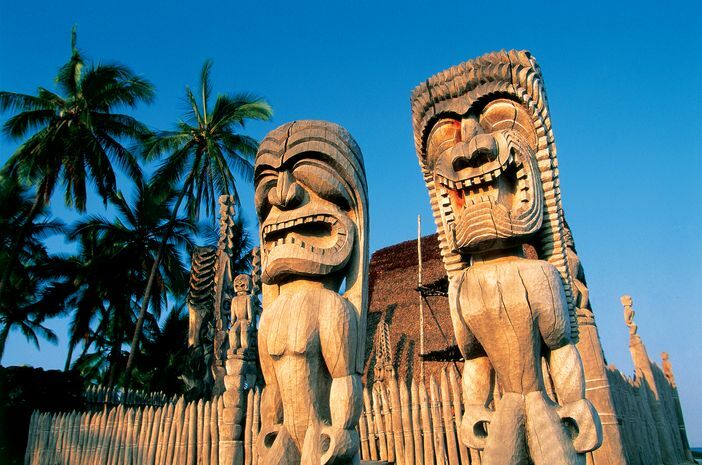 Hawaii is an ideal cruise destination as it features islands that each present their own unique characteristics. That is why you do not want to miss visiting the ports that are featured on a Pride of America itinerary. 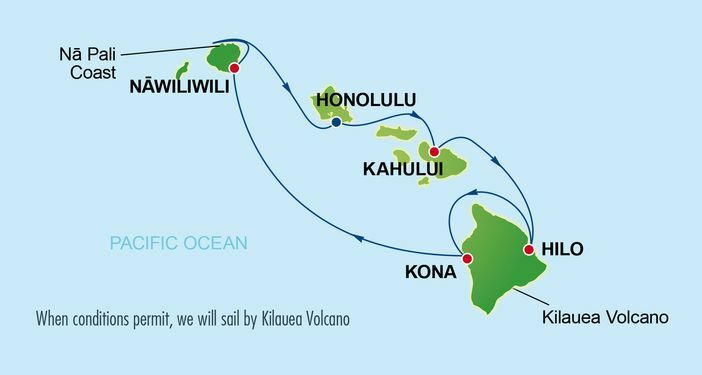 During the ship’s seven-night cruise schedule, you also can enjoy overnights at Kauai and Maui. 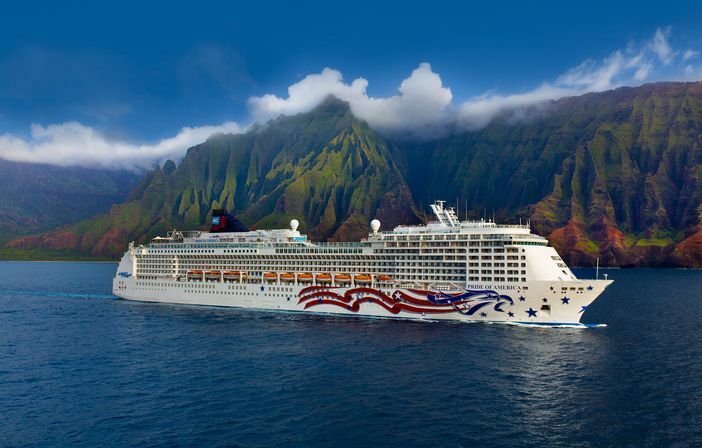 Staterooms on the ship offer balcony views and a full range of Hawaiian cuisine is offered. As noted, cruisers begin their adventure in Honolulu. Situated on the south shore of Oahu, the capital of the Hawaiian islands offers dining and shopping activities, all of which are framed around the crescent Waikiki Beach. One of the main attractions is Pearl Harbor, which features such World War II vessels as the USS Arizona Memorial and the Battleship Missouri Memorial. 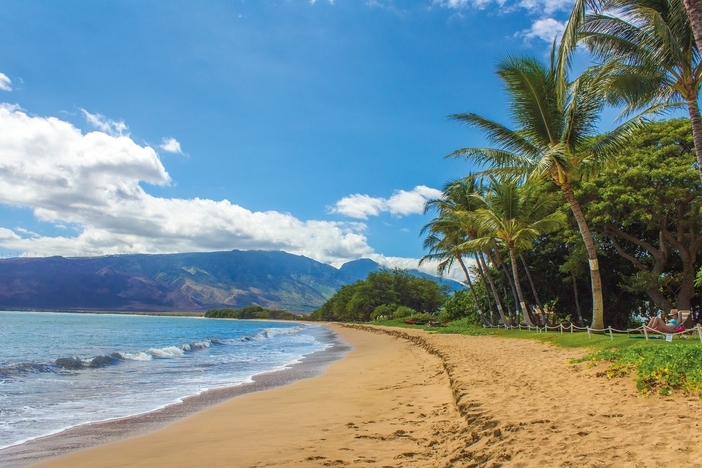 Another stopover during the seven-day Hawaiian cruise on the Pride of America, the island of Maui is home to the Haleakala National Park, which features the volcanic peak of Haleakala and a number of cascades and pools. The waters can be accessed by taking the beautiful and winding Hana Highway. One of the well-known beaches on the isle is Kapalua Beach. Another port of note is Hilo, which is a town on the Big Island of Hawaii. The port is home to a number of popular attractions including Rainbow Falls, the Hawaii Tropical Botanical Garden, the Liliuokalani Park and Gardens, and Hilo Bay. The Liliuokalani Park and Gardens is unique as it features Edo-styled gardens, koi ponds, and a Japanese-style teahouse. 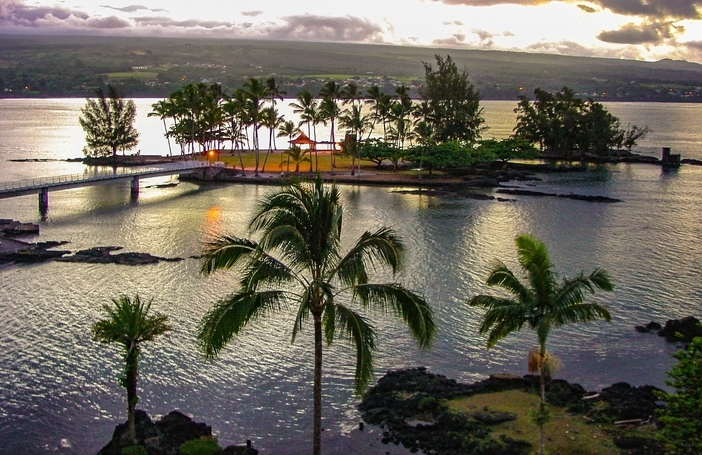 If you love to surf or kayak, you will want to visit Hilo Bay, which is situated on the east coast of this port of call. Kailua-Kona is located on the Big Island of Hawaii’s west coast. Here, you can see Hulihee Palace, which was the former vacation residence of the royals. The building dates from 1838. Kailua Bay, also at this port of call, features thatched houses. Located at the Kamakahonu National Historic Site, the historically reconstructed homes represent former King Kamehameha I’s royal residence. 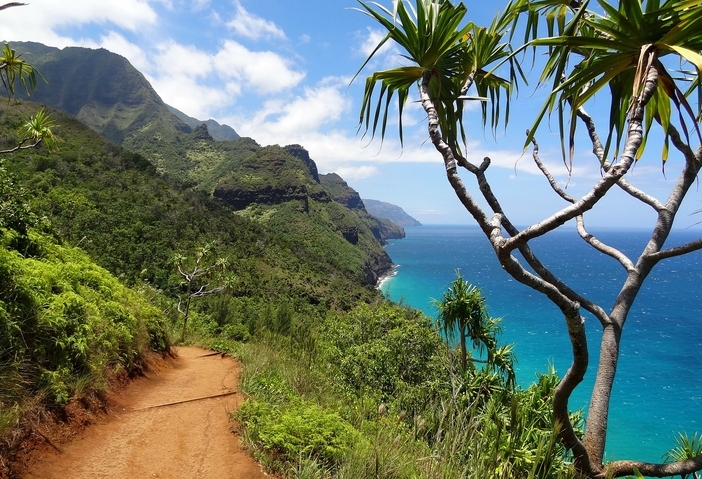 Nawiliwili, located on the green island of Kauai, is a port and beach park that is situated on the southeastern coast. The area is known for such activities as zip-lining, tubing, surfing, paddle boarding, cycling, horseback riding, and its comprehensive luaus. If you enjoy sports-related adventures, you no doubt will want to take advantage of some of the offerings. Because the cruise begins in Honolulu, you might plan to shop and dine before you begin your cruise adventure. Upon your return, you might schedule a visit to Pearl Harbor; you could also visit Pearl Harbor at the start of your trip and stay a couple days in Honolulu after your seven-day journey. 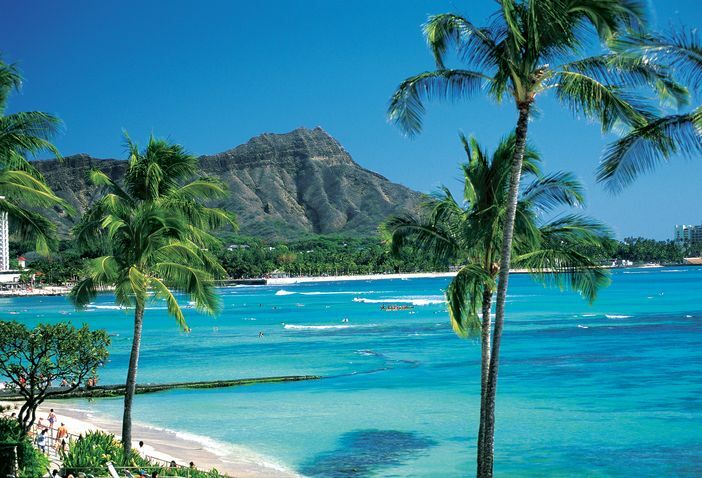 Plan to visit a Waikiki hotel and enjoy the beach’s golden sands. Now is the time to book reservations as the Pride of America specializes in this type of trip. If you want to experience the archipelago of Hawaii and its variety of offerings, this is one cruise trip that should not be missed.